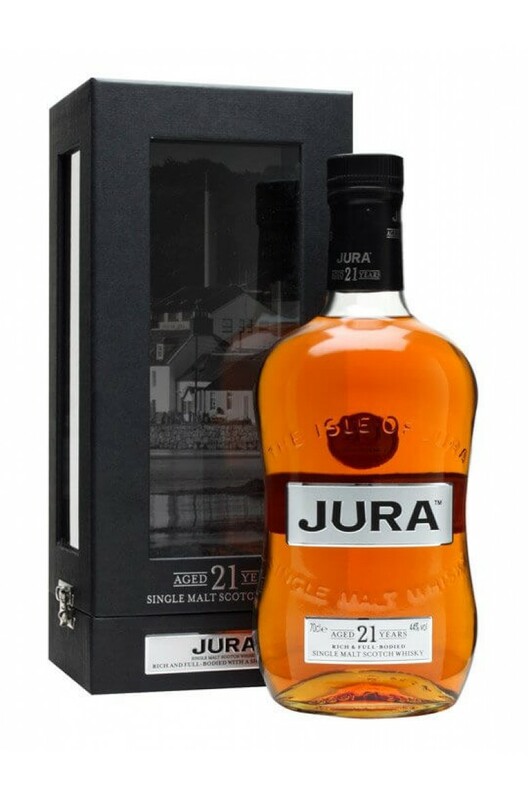 Initially matured in ex-Bourbon casks then finished in vintage 1963 Oloroso Sherry casks, the Jura 21 Year Old has lots of rich fruity notes and hints of chocolate. Aromas (without water) Orange chocolate, soft marzipan & hint of crushed walnuts. Palate (without water) Maraschino cherries, citrus fruits and soft liquorice. Jura whisky is quite unique and totally different to its neighbours on Islay. This 10 year old is th..